Batam, Indonesia has lots of tourist destinations that are perfect for travelers who are looking for some leisure time under the sun. The island itself has become one of the must-visit places around Singapore, being its next door neighbor. Among the hotels and resorts that we’ve visited here, we have several that we heartily recommend for those who are planning a Batam vacation. For exciting water sports activities and excellent accommodations and marina facilities, Nongsa Point Marina & Resort ranks high on our list. 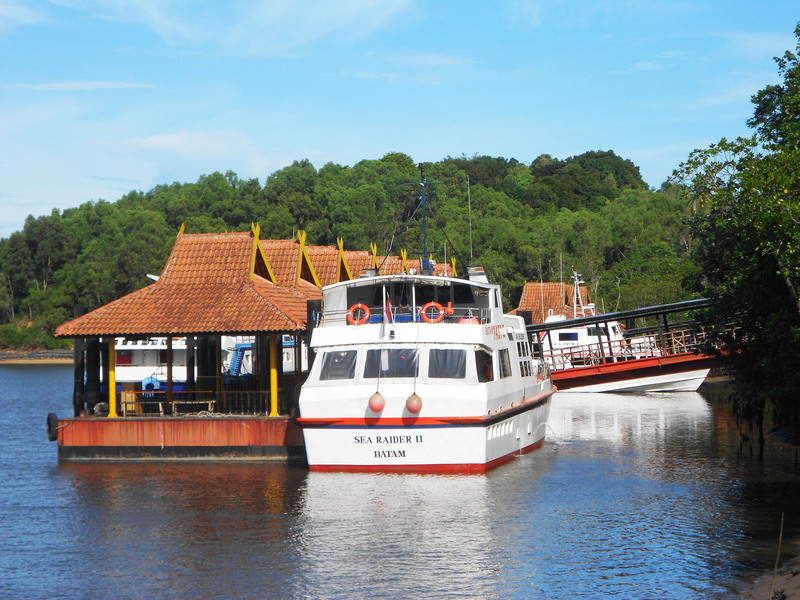 Let expound on why we love this peaceful haven in Batam. Nongsa Point Marina & Resort is a four-star property and it’s marina alone definitely more than lives up to the rating. The facilities here are well-maintained to pass the standards of the most discerning traveler. The marina features world-class berths that can accommodate mega yachts up to 13 feet. 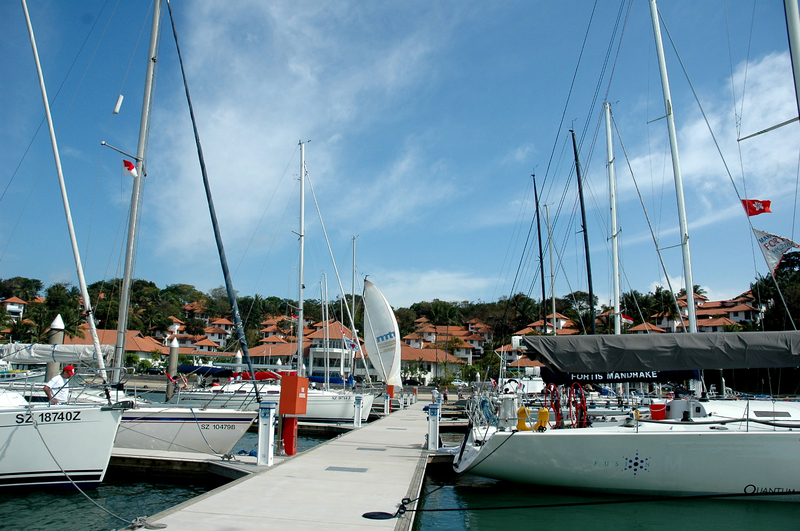 Activities offered include basic dinghy sailing, yacht charters, and scuba diving. You can also sign up for Keppel Bay Sailing Academy, the first one in Singapore with courses accredited by UK-based Royal Yachting Association (RYA). The rooms, chalets, and suite are decorated to complement the easy, breezy feel of the marina resort, so don’t expect heavy and elaborate furnishings here. The dwellings give a comfy and classy vibe that can make even the weariest traveler feel relaxed and pampered. Amenities include cable TV, phone, internet, coffee/tea maker – all that you would expect from accommodations in this price range. We’ve encountered lovely hotels and resorts that truly excel on rooms and facilities but fail when it comes to service quality. This is not a problem at Nongsa Point Marina & Resort, where the staff is very friendly and welcoming. Other guests obviously agree with my observation (check out the hotel’s TripAdvisor profile). Hospitality is something the resort does not take for granted, which definitely pays off in terms of guest feedback. Because of its close proximity, Batam has become a popular weekend getaway spot for those who are coming from Singapore. You only need to take a 35-minute ride to get to Nongsapura Ferry Terminal and from there, it’s just a five-minute drive to the resort. The terminal is fully staffed to make the entry of travelers as fast and hassle-free as possible. If you would rather skip the boat, the Hang Nadim Airport is just ten minutes from the resort. Indonesia has granted visa exemptions to many countries, making it easier for their passport holders to travel here. The exemptions apply only if they enter Indonesia from five specified international ports, which include Nongsapura Ferry Terminal. For the complete list of countries included in the exemption and other regulations, click here. A lot of us would gladly pay for quality service and accommodation, but it doesn’t mean we wouldn’t appreciate discounts! Nongsa Point Marina & Resort offers promos regularly in which you can get great savings off regular rates. Right now, they’re offering two spectacular promos for Christmas and New Year celebrations. To know more about the promos and to make reservations, just visit the resort’s official website, www.nongsapointmarina.com and click the Reserve Now button. You can also check out their Facebook page.